This summer, folklorist and writer Paula Dempsey will be conducting walking tours of Central London to explore the capital's magical history. Occult London: A Walk for Occultists is aimed at those who already know a thing or two about the main characters of British magic, such as Aleister Crowley, John Dee, Harry Price, the Golden Dawn and the Freemasons, but want to find out more tales and intriguing anecdotes about their London adventures. Paula knows the locations of their incense-fogged sitting rooms and secret temple chambers as well as their favourite pubs and even what they liked to drink! On this guided tour she shares her knowledge and offers a fascinating glimpse into London's rich and varied occult heritage. Paula Dempsey is also the author of the Investigator's Guide to Occult London - written as a sourcebook for players of Lovecraftian roleplaying games, but full of well-researched information about the city's mysterious past. The walks are being run through Treadwells, 33 Store Street, Bloomsbury, London WC1E 7BS. The cost of tickets is £8, advance booking is essential. Tel: 020 7240 8906 or email: info@treadwells-london.com. Dates for Occult London: A Walk for Occultists in 2012 are: Wednesday 18 July (7.15pm), Saturday 28 July (2pm) and Thursday 2 August (7pm). 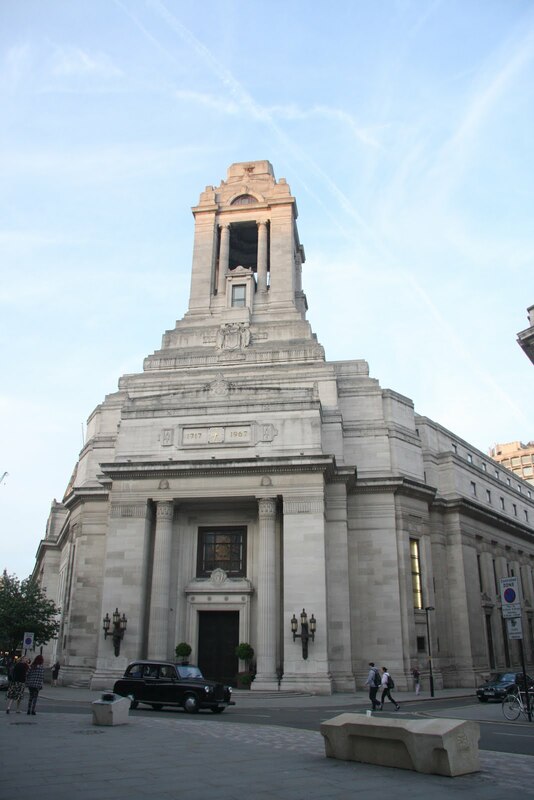 The map at the top shows the location of Treadwells, the picture top right shows Freemasons Hall, in London.